A 21st-century librarian can inspire a school by modeling responsive teaching, advocating for student involvement, facilitating new approaches to writing, and encouraging user-centered spaces. 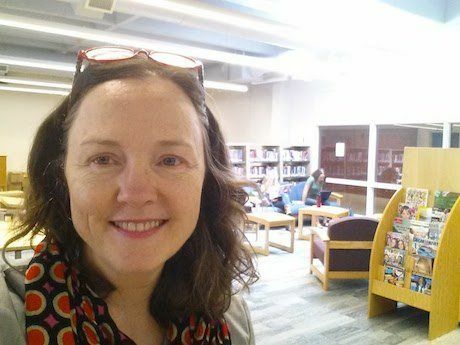 I'm in a new job this fall, moving from K-5 to the library at Western Albemarle High School in Crozet, Virginia. It's a great chance to look back at what I've learned and what I've tried during a time of transformation in school libraries. Libraries have always been focused on users and communities, but recent support for makerspaces and experimentation, coupled with the benefits of system-wide support from Albemarle County Public Schools, has allowed librarians to spearhead inspiring changes. As I change schools, I plan to build on some of the new approaches that I've tried. For a high school, the context is different -- and the curriculum is very different -- but the user-focused approach and the willingness to tinker and try is sure to carry over in the following four practices. "Try these two tools to help students show their work." "If you've already taught commenting skills and explicit awareness of audience, consider having students experiment with online remixing of each other's products." With students, I've noticed that although all teachers are in theory teaching digital citizenship, librarians have the opportunity to really hone in on critical literacies. In my last year in K-5, I taught students to analyze platforms, formats, features, and terms of service, in addition to focusing on content. As I shared those lessons with teachers, we discussed how this builds comprehension and classification skills, and helps students develop their understanding of themselves as learners. Libraries that give students productive roles in the life of the school enlarge advocacy efforts and enhance flexible learning. My students analyzed screencasting tools and made video tutorials for peers, younger grades, or other schools. Librarians know the vertical connections in curriculum, and can help craft projects in which students produce useful learning objects. Simple ebooks made by a second-grade class can become the review sources for third-grade standardized tests. In my high school, I've already started recruiting a Social Media Crew (to run the library's Twitter, Instagram, and Facebook sites), as well as a Design Crew (to produce signs and posters). Librarians are finding interesting ways to involve students in their own professional activities. As we discuss findability with students, we spur them to think about genres, user needs, tagging and keyword searches, as both users and creators. Think about the time-honored "read as a writer" and "consider your audience" efforts. When library projects take these ideas to a new level by incorporating authentic audiences and new platforms, students gain a sense of themselves as information designers. Student investment hinges on a commitment to letting students try their hands at all kinds of things. We want them to become part of the transformation of our learning spaces and how we use and create content. Student investment also aligns perfectly with maker culture and a "handmade" (as opposed to canned and corporate-produced) approach to classrooms and libraries. We have reluctant writers in every grade. The best way to help them is by focusing on communication and storytelling to make writing a low-threat process. Writing centers in libraries can offer standard editing and peer support, as well as a chance to be playful with writing and learn about voice and audience in authentic ways. In elementary school, that can include blackout poem stations (super easy to set up! ), lessons on blogging and commenting, group stories (think Choose Your Own Adventure format), and students as reporters. In high school, I'll have students collect and suggest ideas for our weekly Write Off. We'll have a range of activities, from students making photo prompts for others to trying Padlet for riffing on poems (see teacher Scott Glass' Public Exploration of "Mindful" by Mary Oliver), from sharing fanfiction to remixing with Mozilla's Thimble (see Postcard for a Friend: A 25-Word Story). Connected learning is a huge focus for libraries, as they've become places for students to Skype, blog, work on Minecraft challenges, or team up with peers near and far. Library makerspaces have inspired many classroom teachers to add weekly challenges or plan for open-ended design and tinkering materials. As a teacher, part of being a connected learner is a willingness to learn from and with students, whether in trying virtual reality options, making things in Minecraft, or talking to teen artists or fanfiction writers. These opportunities happen so easily in libraries, and lead to new ways of valuing student ideas and creations. We've put real effort behind making sure that our spaces express choice and opportunity. From all kinds of seating and configurable furniture to space-planning events that involve student suggestions and community ideas for inventions, libraries have become productive and comfortable places for putting student voices at the center. This blog post is part of our Schools That Work series, which features key practices from Albemarle County Public Schools.